On October 12th during Euro Asia Gasshuku in Moldova, Higaonna Sensei was invited to the Moldavian President Office and received special award from the President of Moldova Nicolae Timofti for his many years of contribution to spread traditional karate and its' value to the country as well as building friendship between Moldova and Japan. It was the highest award that foreigners can receive in the country. After the ceremony, Higaonna Sensei commented "It is a great honour to receive such an award. However this award was not just for me, but also for the all the members of IOGKF Moldova and Sensei Viktor Panasiuk, Chief Instructor of IOGKF Moldova". 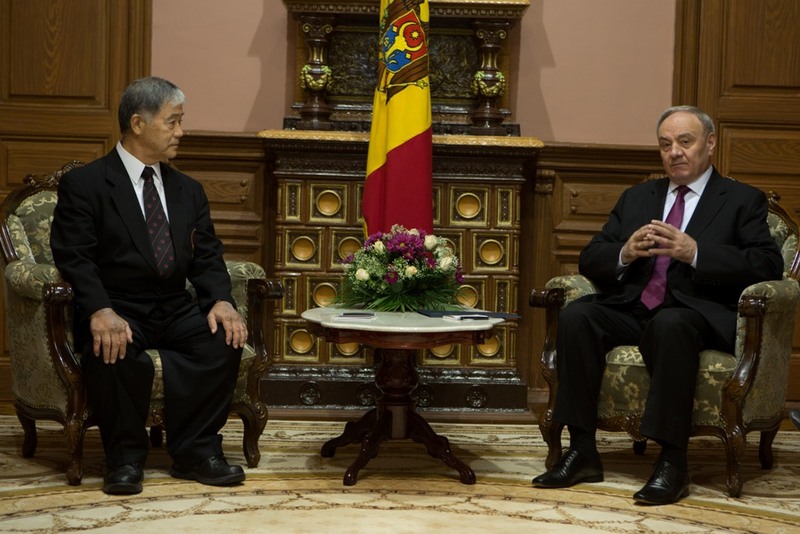 Higaonna Sensei was also invited to meet with the President of Moldavian Parliament Mr. Marian Lupu same morning (picture below).